Weighing Become A Blogger. Until recently the work of a blogger is always underestimated and not recognized by the state. On the ID card itself no recognition sob.When I wrote ga TIN committee on the work list blogger. I'm sure this is not just complain about me but also complained of by the other pro bloggers. It took me two years to convince my parents to two, if a blogger is a job. Science that can not be instantaneously but takes a long process, I myself find it after a year of science over the world involved in writing the blog you're reading this. Science that can not be obtained instantaneously too, it took six months to explore more fully basicnya, I is still learning sob, although first ever win at one of the seo contest but I say it's a coincidence, while drinking water diving profit not sink. This science focuses on the unique characteristics of our site and not the market to make the visitor will always remember - remember the site. and is not likely to come back again because we feel comfortable in our site. The design is also very important. Because it involves a site design or Brand Selling Brand site itself. To illustrate this I site does not have very many visitors at only approximately only 10,000 a day. But Thanks be to God Almighty Praise advertiser has always believed and queuing up to advertise on the web-blog My Information. Here it is very important, useless SEO tactics or design have the best but we're not good at marketing and selling our blog to the advertiser. If you want to search for Individual advertiser does not matter, we just need to build up the traffic, when you grow automatically advertiser will come by itself. but when it's still quiet of the advertiser? it is because we do not have the marketing tactics. I think Blog = Company. Yeah right our blog is our company, our workplace, and our office. Then we who and where we stand? We're the owner right? I did not agree with it. but I do not forbid if your opinion like that. 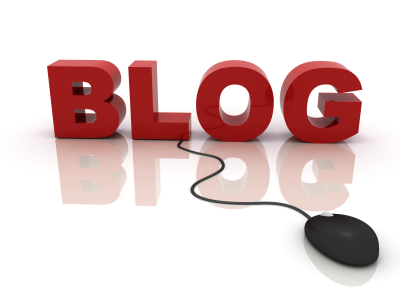 If you want to blog (company) we go forward, what to do? A rival does not mean to each other down and steal the idea and the ideas of others. But the rival is something a friend / friends that we made the motivation to go beyond what he had done. You work for the blog and your company. If you want a big salary, then we must padai padai increase sales. because that's what management is needed into the blog world.Management blog who carelessly cause effects such as saturation phsikitis / crazy blogging / slightly insane / never satisfied / never been grateful for what we have and get. Last will lose your love in a sense. Being a pro blogger is not difficult to sob, I alone learn it all self-taught, because it had not been a blogger community eskis now. Maybe 5 at the moment is not satisfactory according to you, but I hope you can use intuition and improvikasi. Last and most important step is do not forget to pray and do not forget to pay Zakat earnings ya ..
Trust me to set aside our income actually decreased rather than increased. No Responses to "Weighing Become A Blogger"